This is just a start to a project that I have had in my head for a few years now. 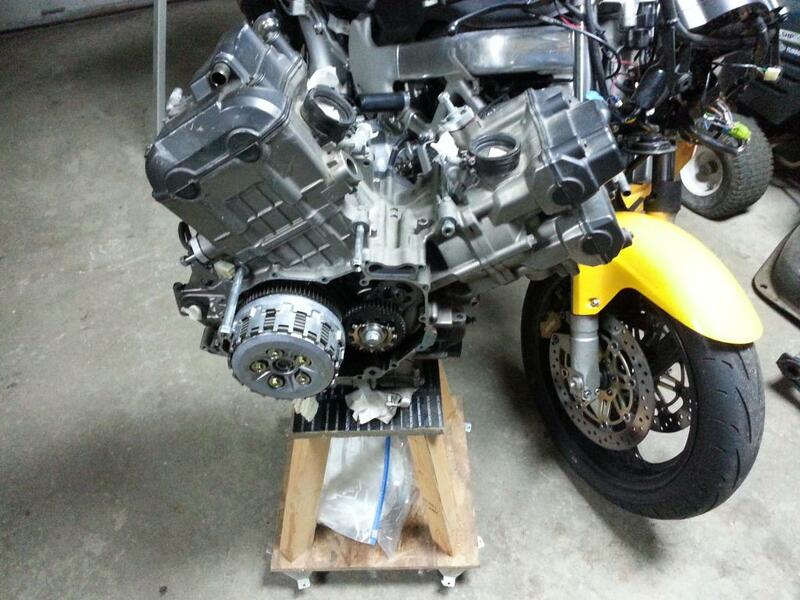 This is NOT a Superhawk, but the heart of this project is an engine from a VTR1000F. So, I hope it's cool I'm posting this project here. I'll post pictures of all the parts I have collected so far and also a sketch of what the bike will look like. This project will not move super fast. It must be done by spring of '15. I have to build a table or buy a lift ($$$), then start building the frame. I was thinking of how to get around the ugly radiators. 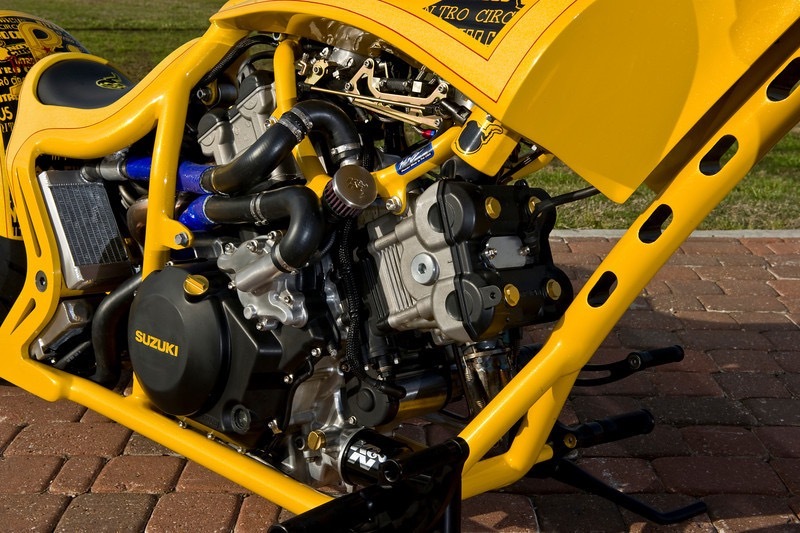 One thought was to hide them under the engine with a shroud on each side of the bike to further hide thier placement and use an electric water pump. Not sure if this will work or not. Another thought was a radiator from a Honda Fury. These are just thoughts. Here's the heart of the beast. Will look familiar to some. Took the Sub Gear off this engine as well. 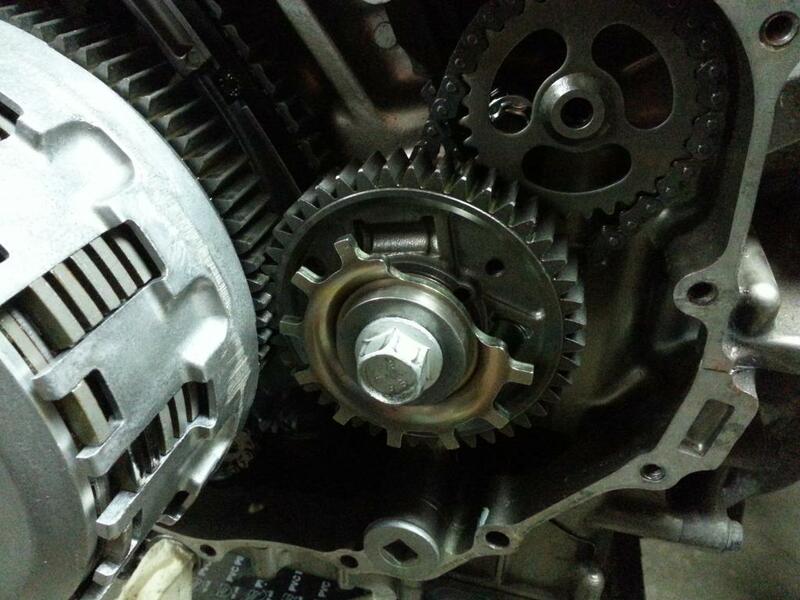 Also has a Factory Pro +4 degree Ignition Advancer installed. While I had the engine cover off, I debadged it. 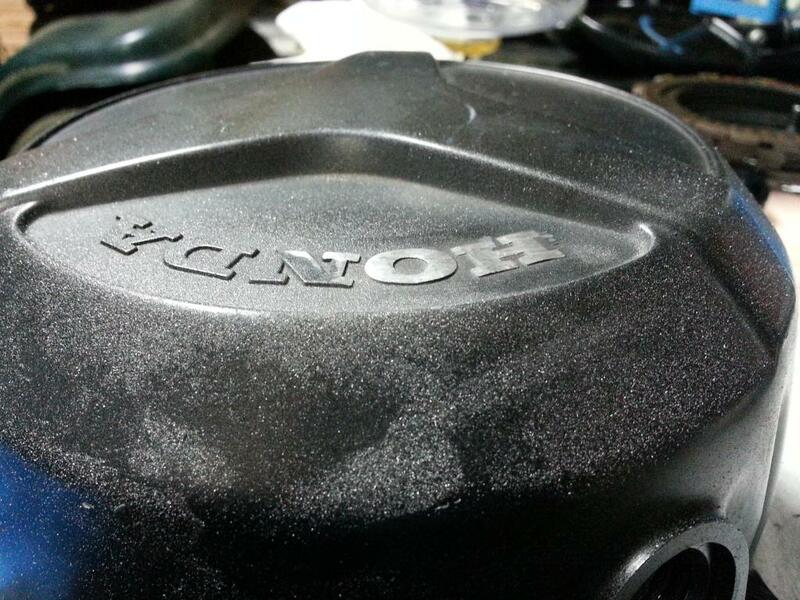 I did this with my Superhawk and it gives the cover a nice, clean look. 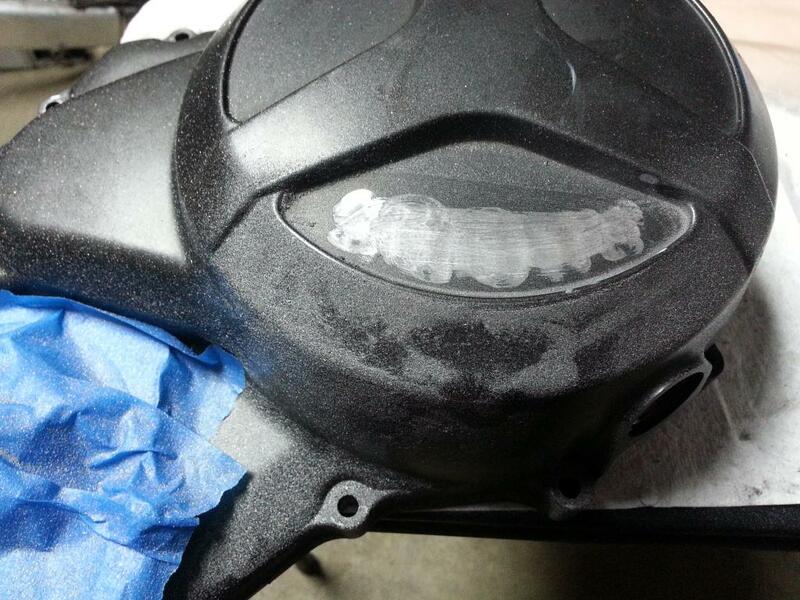 A little work with a Dremel and then some putty, self etching primer, and then hit 'er with some paint. I was looking around to see if anyone else has put radiators under the bike. I found this on The Kneeslider. In the picture below, it looks like the builder put the radiator underneath. What problems, if any, would you guys forsee if I was to put the radiator(s) under my engine? Okay, so the picture isn't working. Just go to the link above and check it out. 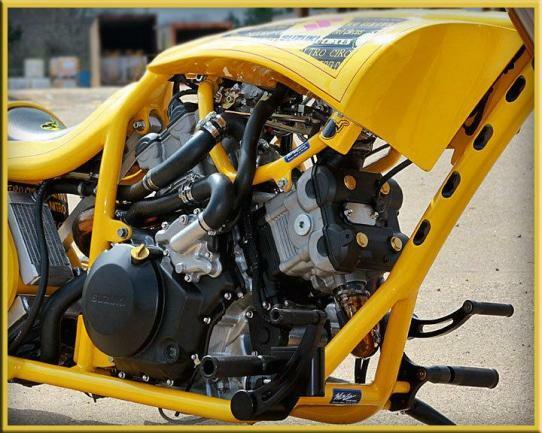 It's a pretty cool motorcycle. A lot of outside the box thinking. I really like that single composite leaf spring suspension. Road grime and rock damage would be most likely. The link didn't work for me so I guessing as to the positioning of the rads. 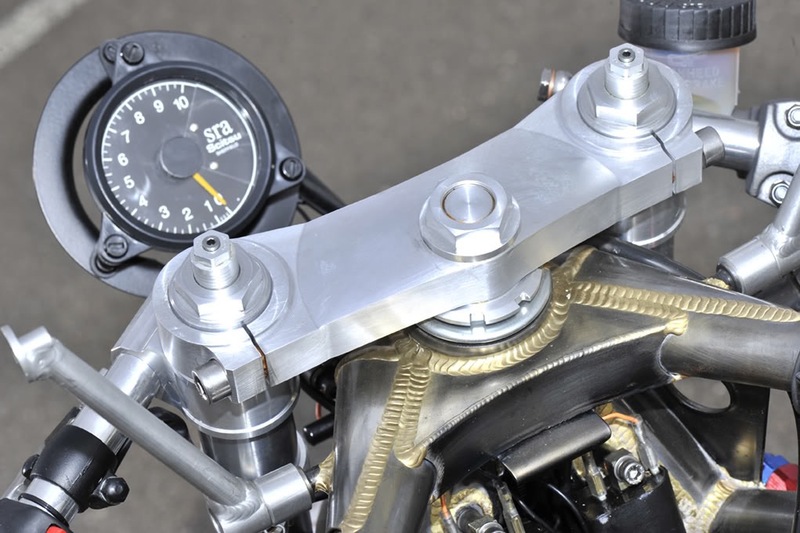 If your doing a girder front maybe consider the rad set up like the Magpul Ronin bike. Those issues would be addressed. I would make an aluminum guard, so the guard takes the hits and mess, and not the radiator(s). 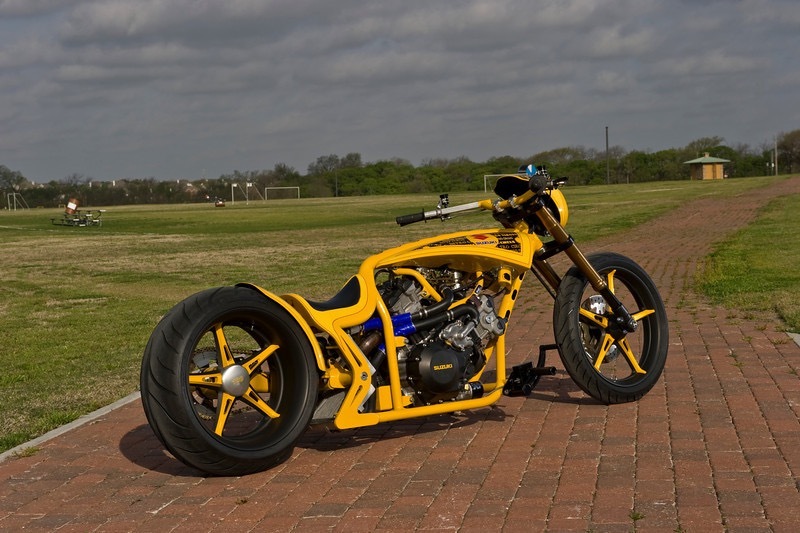 I clicked the link and it works for me, but if you and others are having issues, it is the Bienville Legacy Superbike by JT Nesbitt. The guard I mention would look similar to the one on this bike. The bike I'm making will have forward controls and low to the ground. 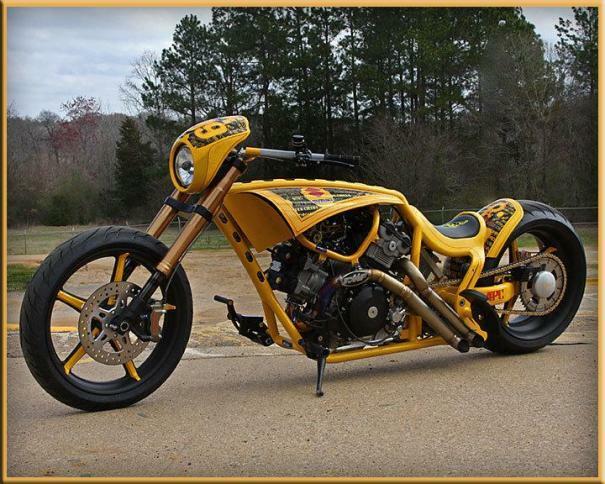 Nothing like the JT Nesbitt bike. EDIT: I just checked out the Magpul Ronin bike. Now that's an interesting place to put the radiator! Last edited by CruxGNZ; 10-30-2014 at 06:51 PM. Stumbled upon the Bienville bike. That rad config could be an interesting design element. I'm picking up the materials to make the trellis type frame this week. Just haven't figured out what diameter chomoly tube to get yet. I was thinking 1" or 1.25" dia. Any help from the collective mind here would be appreciated. I am ordering a book by Tony Foale to help me understand how to build this frame. I can cut, weld, and fabricate, but my mechanical engineering degree was never finished back in '96 and I pretty much lost everything I learned anyways. If this turns out decent, a trellis frame for the Superhawk would be a neat project. Plan is to read Tony Foale's book, make the frame jig, fabricate the frame, tack weld every joint, then bring the entire frame to the same guy that built and welded the 6 point roll cage in my 240Z. He's a welder and weld inspector for Bucyrus Erie here in Milwaukee, WI. He knows his ****. Not that I don't trust my welds, but when it comes to something that will be on the roads, I would rather leave it to a professional. Thinking more about it...if I was to use a trellis frame, then I wouldn't have a down tube to attach the radiator(s) to on the bottom of the bike. I need to show you guys what I want the bike to look like and then go from there. I have some sketches I can take pictures of. Will post those soon. Decided on 1" and 1.25" dia. .125" wall chomoly DOM tube. Should be plenty strong for a ~115hp bike. 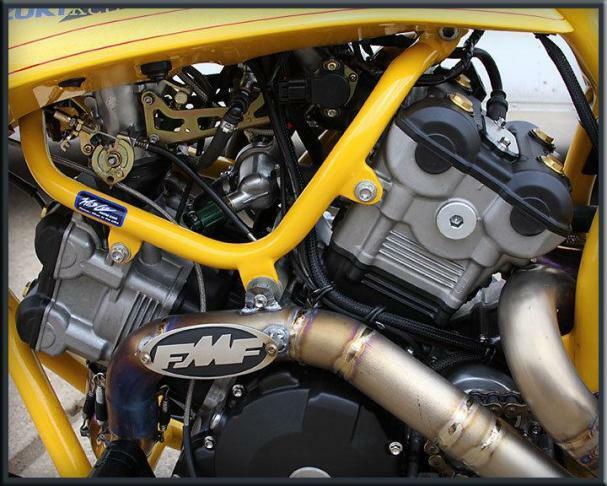 Lately, I have been REALLY liking the front end that Jesse Rooke builds. Its really quite beautiful in its simplicity. I am leaning towards this front end now. Last edited by CruxGNZ; 11-16-2014 at 05:03 PM. Purchased a JD2 TN-100 tubing notcher, and tubing bender. I have all the tubing to make the frame & front end (plus a bunch extra tubing for screw ups and for little fun future projects). Next step, a frame jig. Should be able build it after the holidays. Last edited by CruxGNZ; 12-20-2014 at 07:18 PM. Once my black bike is together, I am going to start working on Materium. 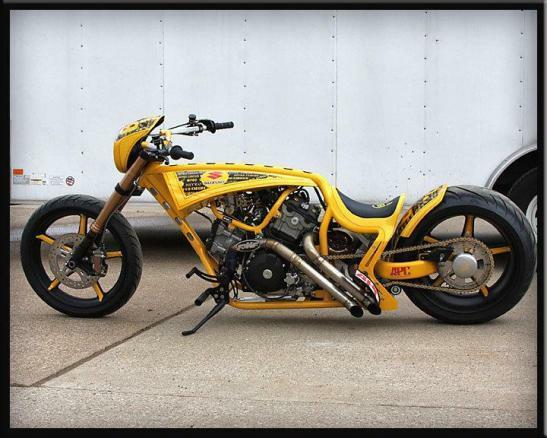 I recently found a bike that I want to patern this build off of. I love how the builder kind of made the radiators disapear. Beautiful build. I want to make the frame similar to this one, but I will need a seat to carry the wife. 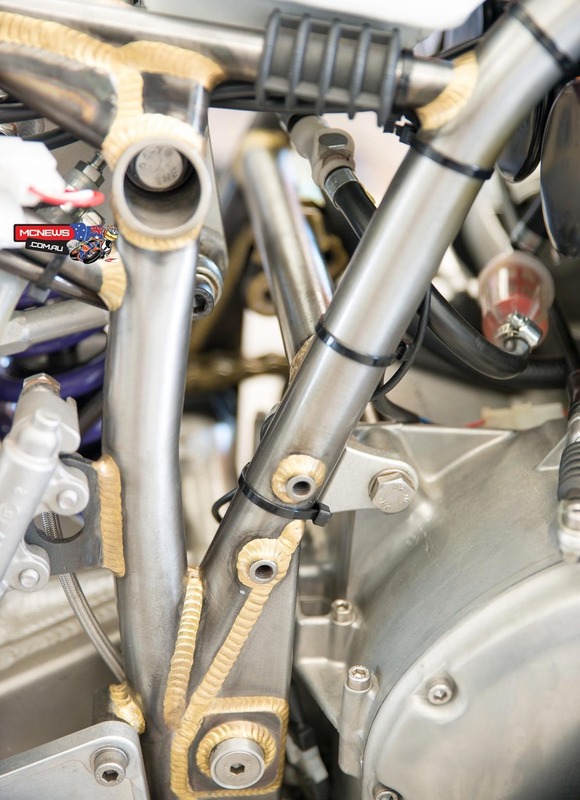 Also, it will be a normal swingarm. Beartex the tubing, then have it brazed instead welded and then just clear coat it! I was honestly looking into that! Although, I would TIG weld the frame first, then braze each weld with silicone bronze. I've seen a few people do this and it really looks cool. I'll have to do a few little projects first to get the hang of it. EDIT: That sure does look neat. Going to need a lot of practice before my welds look like this. I heard the Ariel Atom has its welds brazed with silicone bronze. Not sure if that is true or not.